Pensacola police officers have searched a damaged GMC van in an effort to find evidence that might link it to a fatal hit-and-run pedestrian accident that occurred on Sept. 9, 2009. This Pensacola News Journal article reported that the 52-year-old victim was struck and killed while walking along Cervantes Street near H Street in Pensacola. Pensacola police were notified about the van after a Gulf County Sheriff’s Office captain got a tip from a confidential informant. The informant had heard that a relative had asked family members to pick up a van from a Gulf Breeze tow lot because he had hit a pedestrian while driving it and did not want any possible links between them and the van. The van was towed to the lot after the driver was arrested on an unrelated charge in Santa Rosa County two days after the pedestrian accident occurred. Pensacola police found the van had damage to its hood, windshield and front with tape on the shattered windshield. Pensacola’s Assistant Police Chief said that hair samples found on the van were sent to the Florida Department of Law Enforcement for analysis. The hair samples were found on the tape and the windshield according to an affidavit and at the time the article was published, no arrests had been made in relation to the van or the hit-and-run pedestrian accident. There were 8139 pedestrian accidents in Florida in 2007 that resulted in 530 people killed and 7529 injured. Pedestrian accident survivors often face a long path to recovery with lengthy and expensive rehabilitative care and sometimes many months of lost wages. 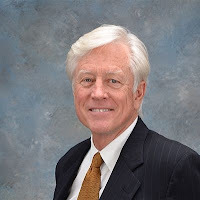 A strong advocate for victims of pedestrian accidents, Orlando pedestrian accident lawyer James O. Cunningham has helped many victims of pedestrian accidents since he began his personal injury law practice in 1977. He offers free consultations and works on a contingency-fee basis that means if he accepts your case, he charges no fees unless he makes a recovery on your behalf. Call the Law Offices of James O. Cunningham today to schedule your free consultation.